Housed in the old Waikanae Post Office is the Kapiti Coast Museum. Its nucleus began at the end of 1981 when a small group of radio enthusiasts decided it was tragic to see old radio sets being discarded and so they collected and stored pre-war (World War II) equipment in their garages. 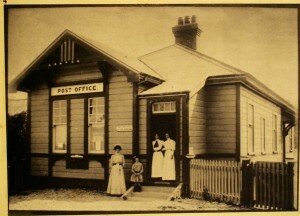 The first meeting of the Waikanae District Museum was held in October 1983 and a letter from the Horowhenua County Council was tabled at that meeting offering the proposed museum the use of the old post office building (in response to an earlier approach from the radio enthusiasts) after the Post Office was moved from Elizabeth Street to Mahara Place. The Museum became an Incorporated Society in November 1983. When the museum was established the New Zealand Post & Telegraph Department donated a significant amount of out-dated telephone and telegraph equipment including the original Waikanae Telephone Exchange (in use from 1897 to 1917) and the exchange that replaced it. These remain as valued exhibits. Along with radio and communications equipment, including a Ham Radio “Shack”, the museum is now home to extensive displays of everyday life from the pioneering era. The name changed to Kapiti Coast Museum Incorporated in April 1993 and the building, which opened as a post office in 1908, is now a Category 2 New Zealand Historic Places Trust Building.